The history of the Black presence in Hawaiʻi goes back to the sailors; Blacks were crewmembers of Captain Cook’s second and third Pacific voyages. There is a “high likelihood” for the presence of Blacks on many of the early ships that crossed the Pacific. Free and unfree Blacks had been serving onboard these ships in a variety of capacities. Between about 1820 and 1880 hundreds of whaling ships annually pulled into (primarily) Honolulu and Lāhainā, and a significant number of Blacks stayed behind in the islands and became permanent residents where they worked as cooks, barbers, tailors, sailors on interisland vessels and members of musical groups. Work on sugar plantations was considered too close to slavery that Blacks were not considered for contract labor by the Hawaiian Kingdom. Another of the early African Americans to Hawaiʻi was George Washington Hyatt. Born in 1815 in Petersburg, Virginia, Hyatt was a former slave who had escaped and made his way to Hawaiʻi. He had been a member of the original King’s Band under Oliver (the original leader of the King’s Band, also an African-American,) playing both the flute and the clarinet. 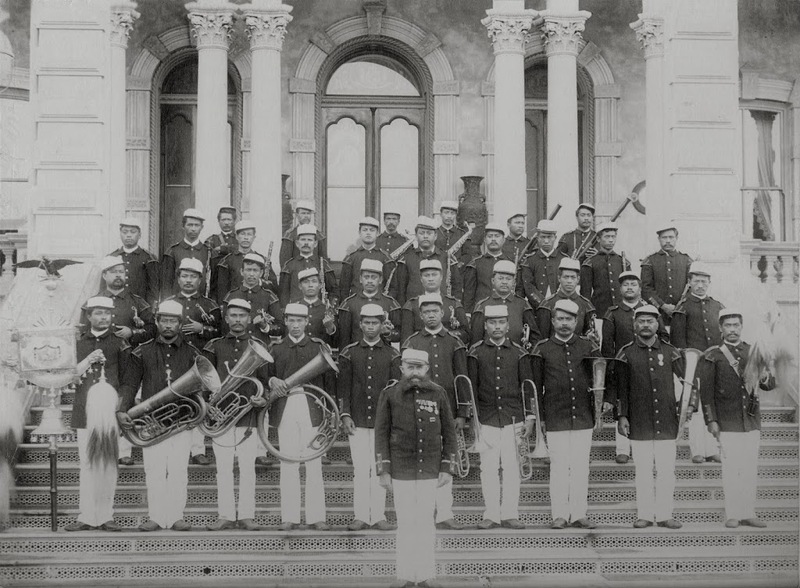 Four Blacks formed a royal brass band for Kamehameha in 1834, and Hyatt, organized a larger band in 1845. Not only did Hyatt play in the band, in 1845 he became the Bandmaster. The history of the Black presence in Hawaiʻi goes back to the first sailors; Blacks were crewmembers of Captain Cook’s second and third Pacific voyages. There is a “high likelihood” of the presence of Blacks on many of the early ships that crossed the Pacific. Free and unfree Blacks had been serving onboard these ships in a variety of capacities. Between about 1820 and 1880 hundreds of whaling ships annually pulled into (primarily) Honolulu and Lāhainā, and a significant number of Blacks stayed behind in the islands and became permanent residents, where they worked as cooks, barbers, tailors, sailors on interisland vessels and members of musical groups. Hawaiʻi experienced serious labor problems prior to 1900. Japanese and Chinese plantation laborers had sporadic strikes that began to present real problems for plantation owners. The most notable among African Americans to settle in Hawaiʻi, Anthony Allen, arrived in 1810. Called Alani by the Hawaiians, Allen was a former slave; arriving in Hawaiʻi he served as a steward to Kamehameha and went on to become a successful entrepreneur, acquiring land from high priest Hewa Hewa in 1811, starting a farm, ‘resort’ (he reportedly had the first ‘hotel’ in Waikīkī,) a bowling alley and a hospital for ill and injured sailors. Click HERE for a link to a prior story on Anthony Allen. Another former slave on the continent, Betsey Stockton then belonged to Robert Stockton, a local attorney. She was given to Stockton’s daughter and son-in-law, the Rev. Ashbel Green, then President of Princeton College (later known as Princeton University,) as a gift. When Stockton expressed her interest in becoming a Christian missionary, she was granted her freedom and accepted into membership by the American Board of Commissioners for Foreign Missionaries. On November 20, 1822, Stockton and 20 other American Protestant missionaries in the 2nd Company set sail from New Haven, Connecticut for the Hawaiian Islands. Upon her arrival Stockton became the first known African American woman in Hawaiʻi. Stockton was assigned to a mission in Lāhainā, Maui, in 1823. Up until that time, missionaries instructed Hawaiians in Christianity but had limited their teaching of reading, writing and math to their own children and the children of the Hawaiian chiefs. Stockton learned the Hawaiian Language and established a school in Maui where she taught English, Latin, History and Algebra. The site of her school is the location of the current Lahainaluna School. Stockton left Hawaiʻi in 1825, returning to the mainland where she was assigned to teach Native American children in Canada. She spent the final years of her life teaching black children in Philadelphia. Betsy Stockton died in her hometown of Princeton, New Jersey in October 1865. On June 1, 1915, Alice Ball was the first African American and the first woman to graduate with a Master of Science degree in chemistry from the University of Hawaiʻi. In the 1915-1916 academic year, she also became the first woman to teach chemistry at the institution. But the significant contribution Ball made to medicine was a successful injectable treatment for those suffering from Hansen’s disease. She isolated the ethyl ester of chaulmoogra oil (from the tree native to India) which, when injected, proved extremely effective in relieving some of the symptoms of Hansen’s disease. Although not a full cure, Ball’s discovery was a significant victory in the fight against a disease that has plagued nations for thousands of years. The discovery was coined, at least for the time being, the “Ball Method.” A College of Hawaiʻi chemistry laboratory began producing large quantities of the new injectable chaulmoogra. Click HERE for a link to a prior story on Alice Ball. 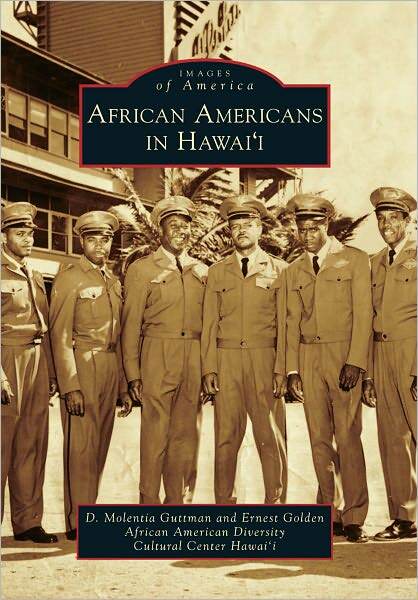 The image shows a cover to a book, African Americans in Hawaiʻi.